The Gruffalo Live is back! It is all set to celebrate its 15th Birthday this year, in 2016. The Gruffalo, at the Lyric Theatre this summer, is an energetic adaptation of the classic picture book, written by Julia Donaldson and Axel Scheffler. The furry creature show is making a return to the West End in the summer for a two-month run, to delight your little ones! In this Tall Stories’ magical and musical show, Mouse meets the cunning Fox, the party mad Snake and the eccentric old Owl, while searching for hazelnuts. Join Mouse on this daring adventure and find out whether the story of the terrifying Gruffalo saves Mouse from becoming dinner for these hungry woodland creatures. After all there is no such thing as a Gruffalo – is there? The show is full of laughs, songs and scary fun for children aged 3 and up and their grown-ups. Kids, young boys and girls and adults all can come and enjoy this hugely popular show that has toured Britain and all over the world! 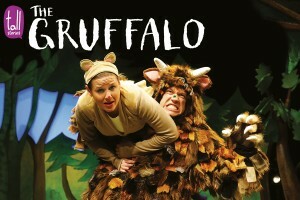 Book your seats now at www.gruffalolive.com . Which airport is closest to The Lyric Theatre? London City airport: It is the closest airport to London Eye. From London city airport to The Lyric Theatre approx. it takes 46 minutes and it is 9.4 miles away via A1203. Heathrow airport: Approx. it takes 54 mins to reach The Lyric Theatre from Heathrow airport as it is 19.1 miles away via M4 and A4. Gatwick airport: Gatwick airport is 55.9 miles away via London Orbital Motorway and approx. it takes 1hr 26mins to reach The Lyric Theatre from Gatwick airport. Southend airport: It takes approx. 1hr 29mins to reach The Lyric Theatre from Southend airport, it is 42.1 miles far from The Lyric Theatre. Luton airport: From Luton airport to The Lyric Theatre it takes approx.1hr 3mins Via M1 to reach and it is 33.9 miles away from The Lyric Theater. Stansted airport: It is 35.2 miles far from The Lyric Theatre and it takes approx. 1hour 15 mins via M11 to reach The Lyric Theater from Stansted airport. Our London Airport Transfers services are available from Heathrow airport, Gatwick airport, Stansted airport, Southend airport, Luton airport and London City airport.